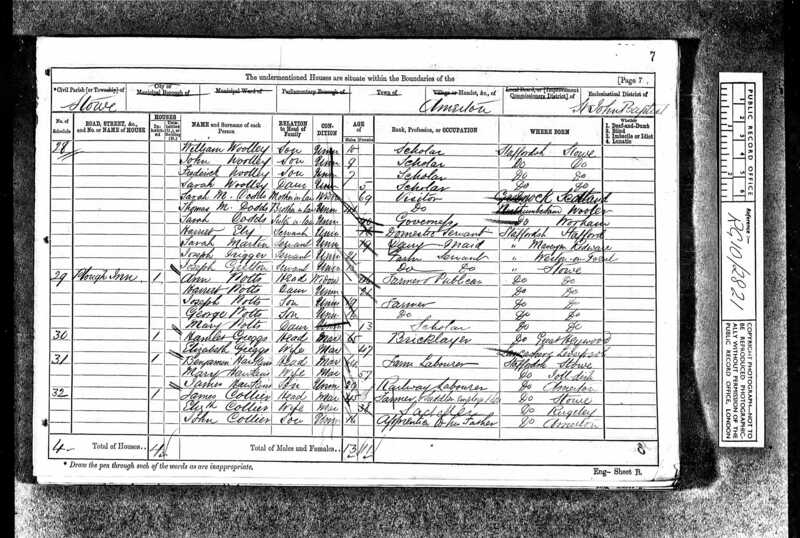 Elizabeth Collier, better known by Lizzie, was born on 21 November in what is generally assumed to be 1862.A Her parents were saddler James Collier and Elizabeth Chambers. 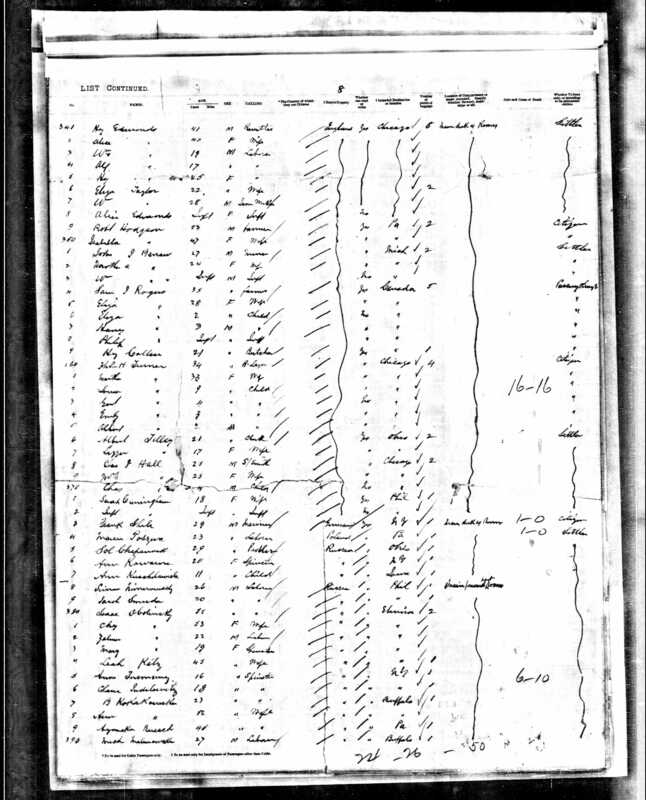 Lizzie was baptized 9 Aug 1863. 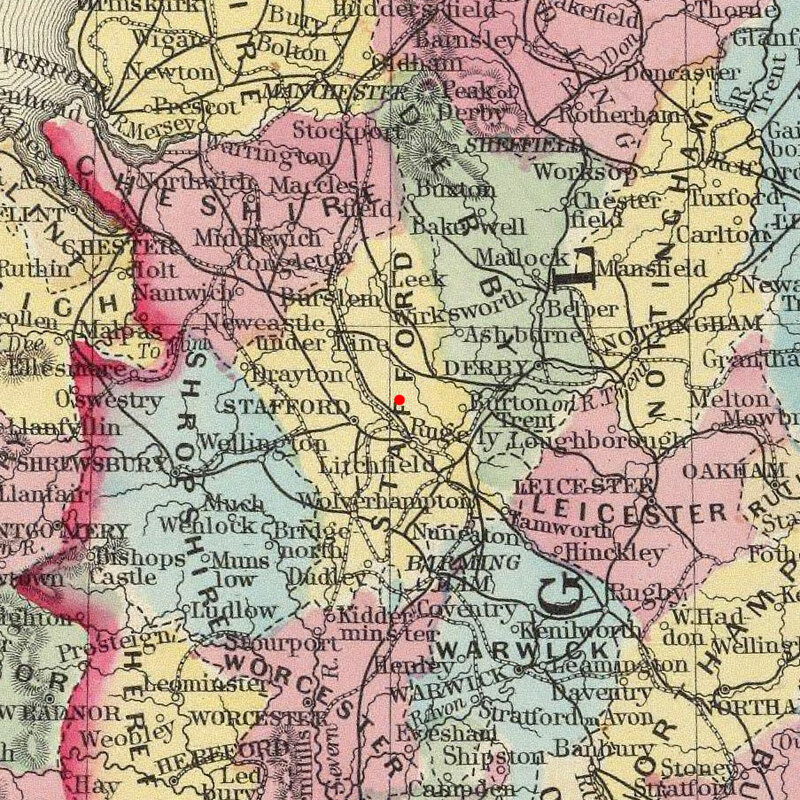 Lizzie was born and raised in Amerton, where her father farmed and operated the Plough Inn (just east of Amerton Farm which is now a Bed & Breakfast), a half-mile west of Stowe, Staffordshire (now Stowe-by-Chartley). She was the sixth child born to a family of 13 children. Lizzie had 7 brothers and 5 sisters. After their marriage the family moved to the suburb of Walton in Stone, Staffordshire. This area was part of St. Michael's parish and separated from Stone by the River Trent. 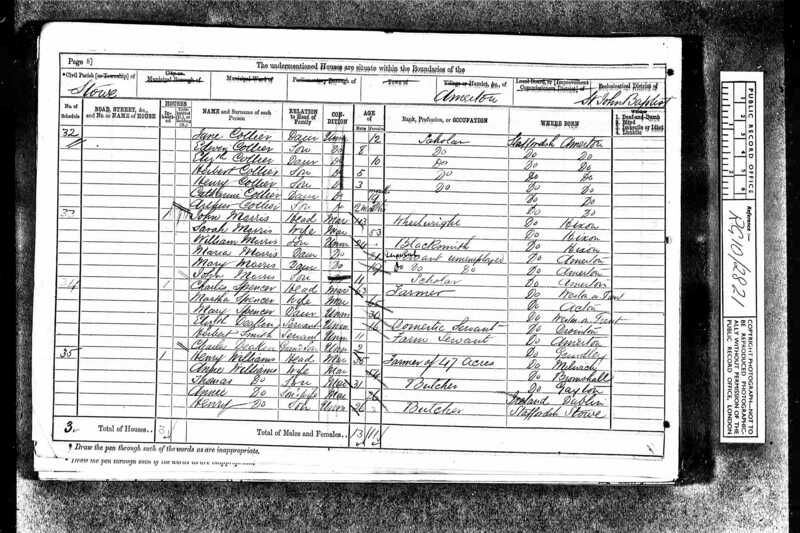 It must have been difficult for a farmer and miller to find work living in a city, because the following year Samuel, his wife Lizzie and their 3 children picked up and traveled 65 miles to Liverpool. 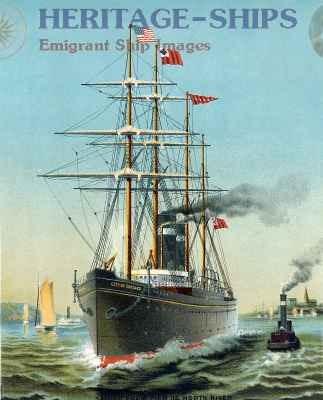 Here they boarded the Inman line steamship "City of Chicago" and made the roughly 10 day journey to America. (3 months later the steamer wrecked off the coast of Ireland in heavy fog on a return voyage to Liverpool: the only loss was the steamer itself after 9 years in service). 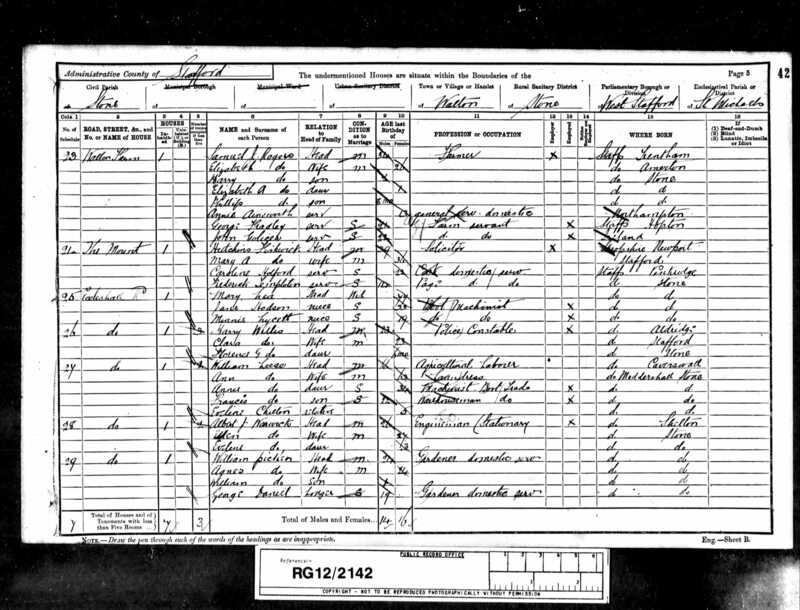 A curious point to mention is at Sam and his family's arrival at Ellis Island in New York (only 2 months after it opened) they stated their intention was not to stay in the United States, but to pass through to Canada (They carried with them 5 pieces of luggage). 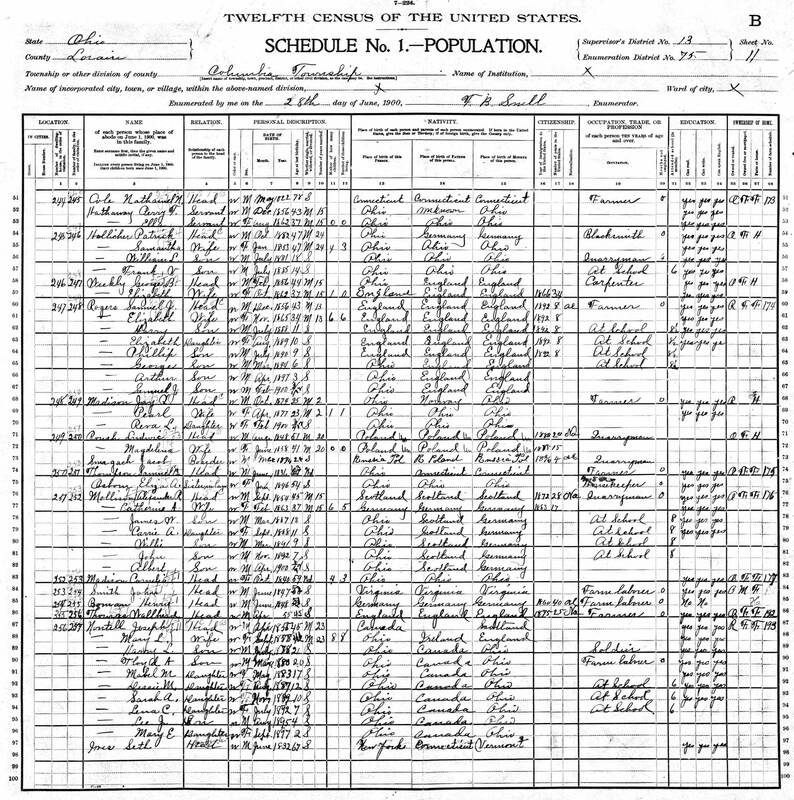 This never seems to have materialized as on the 30 Mar 1894, Lizzie gives birth to their first child in the new country. 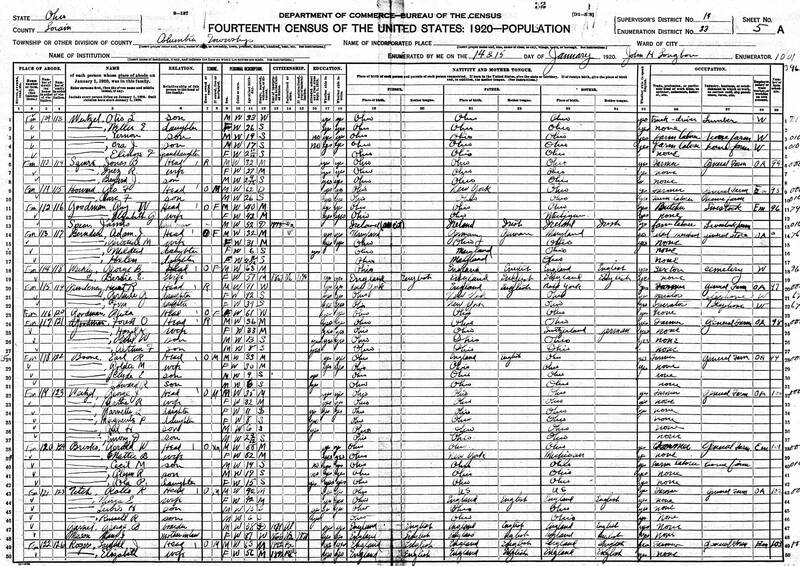 George Fredrick Rogers was born in Olmsted Falls, Cuyahoga, Ohio. 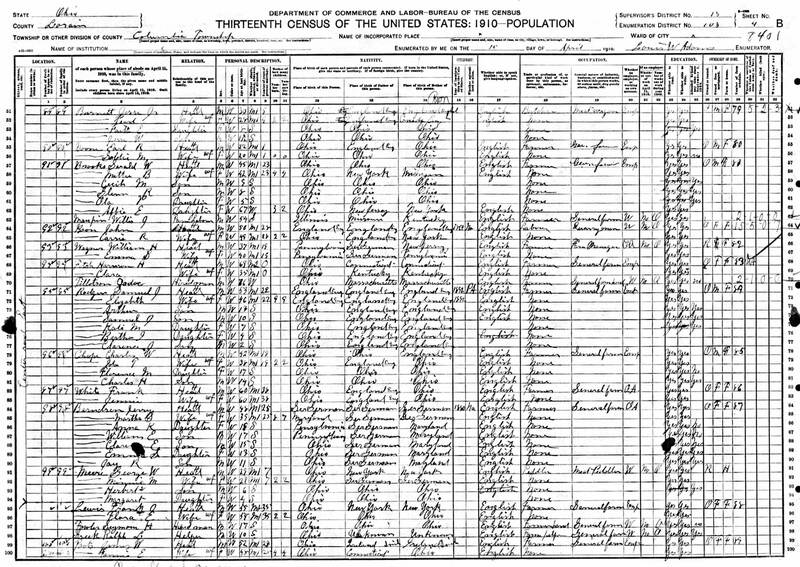 It seems over the next 6 years the family would move a mile or so south to the next town where they would be found in Columbia Township, Cuyahoga, Ohio on the 1900 census (now Columbia Station). Sam and Lizzie spent the rest of their lives in Columbia Station where they struggled to get by raising their children. Sam was listed as a general farmer and the family had no money. They were so poor that their son George would tell stories to his children and grandchildren about not owning a pair of shoes until his boss purchased him a pair at 15 years old. (Family also believes George was out of the house and looking for work by the age of 12). 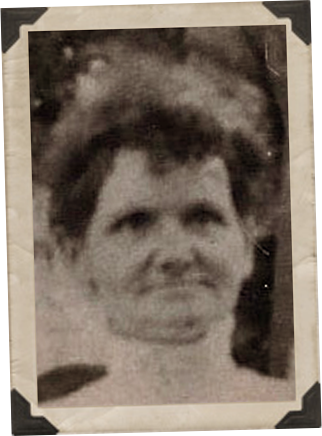 By 1929, Sam and Lizzie were living with their daughter Bertha Rogers-Pick at her home in Berea, Cuyahoga, Ohio. It's here at 71 West St. where Lizzie would pass away at the age of 67 of "Acute Heart Failure". The couple was buried together in Columbia Cemetery at 13699 County Highway 60 in Columbia Station. A Year of birth varies greatly. 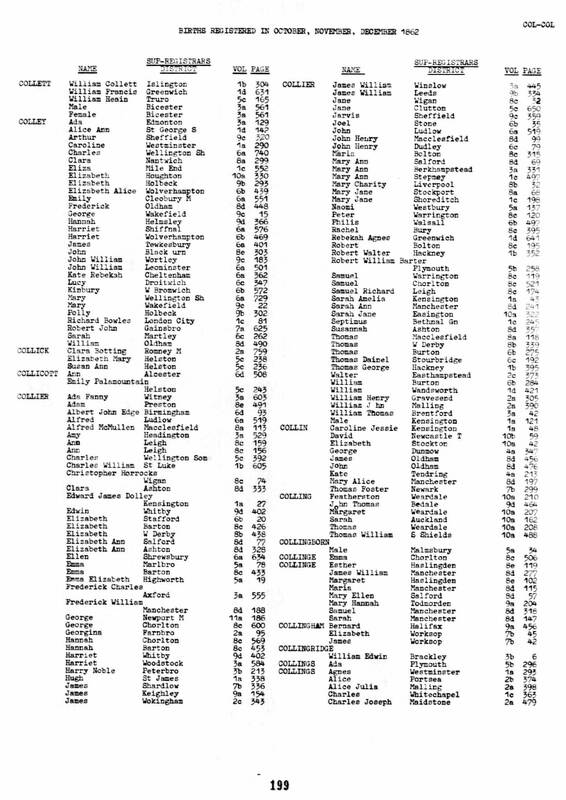 Death certificate says 1868, US censuses pin about 1865 and grave headstone says 1862, uk censuses say 1861. 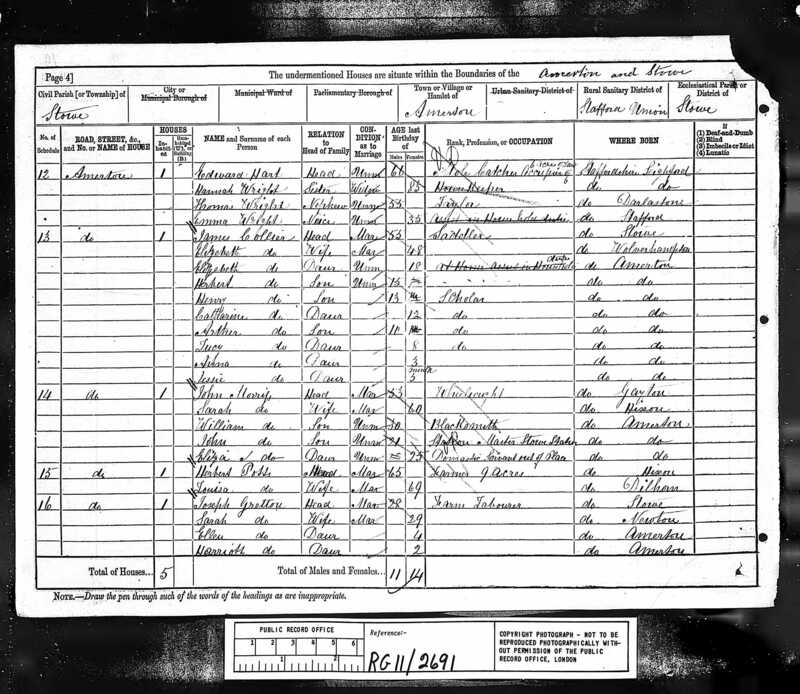 After finding christening record, I took the liberty to assume 21 Nov on death rec was accurate and'68 is really'62. 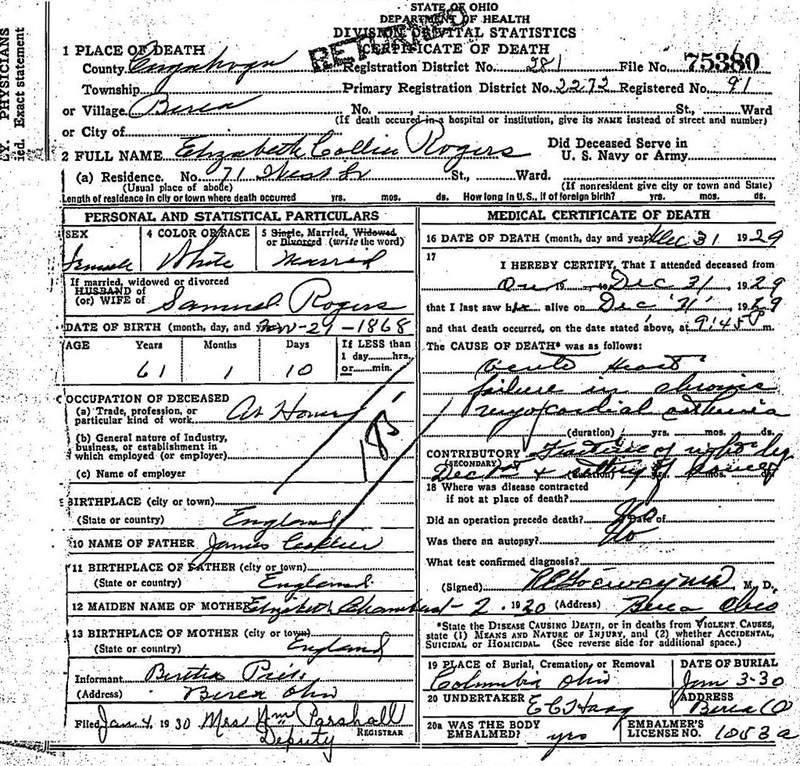 Nothing is confirmed though, until I receive Elizabeth's birth record. B Walton is a suburb south of Stone, separated from Stone by the River Trent. Walton farm is likely just south of the city.